West African Author Empi Baryeh has been putting word-to-paper and work-to-dream for two decades off and on. That’s a long time. A few setbacks early in her career weren’t enough to stop this now award-winning writer from selling and publishing her novel in 2011. Since then, she has published three stories of love and romance centered in the beautiful continent of Africa. Join Diverse Romance and Empi today as we learn more about her story. Tell us about your journey to become a published author. My first publication was a short story in a national weekend paper in my country. That was way back in 1997! I got paid, too. Unfortunately, after a second short story in the same paper, my writing took a back seat to education. Fast-forward to 2011, when I finally had a completed manuscript for a full-length novel. I heard Savvy Authors was holding an editor pitch contest, so I pitched CHANCING FAITH to the editor of Black Opal Books. This was my first sale! It was followed by the acceptance from Evernight Publishing for MOST ELIGIBLE BACHELOR, which ended up becoming my debut novel. Tell us about your latest romance release. Esi Afriyie has been in love with Michael Yaw Badu since childhood. When he receives a scholarship to study in America, all hope seems lost … until he returns to Ghana ten years later. An arranged marriage contracted by their families makes her dreams come true, but does the reality of being Mrs. Michael Badu live up to the fantasy? Michael may have married Esi, but he is in love with someone else—Forest Girl, a mystery woman he encountered just once in the forest. His heart belongs to her, and he doesn’t need his beautiful wife awakening his carnal desires. He is even willing to sacrifice his marriage for another encounter with Forest Girl. Reality is not what either Esi or Michael imagined. Esi is disillusioned; Michael feels trapped. Will Michael give in and allow his heart to discover a love that was always meant to be, before it’s too late? Give five words that best describe this book. What message do you hope readers get? Heartwarming, Passionate, Emotional, African, multicultural. Message for readers: Love and marriage aren’t clean-cut or black and white. Love doesn’t exist in perfection – even when two people are meant to be together. Give us one or two of your favorite lines from your current book. The temptation to take him at his word overwhelmed her, but she’d learnt how quickly bliss could turn to pain, and even though his actions matched his words right now, they could change tomorrow. So, she’d take this moment and hide it in her heart. For a second, he considered lying, knowing the immediate consequences were going to be better than the truth. But if he wanted to earn her trust, he had to be honest. Tell us about your writing space and your daily routine. Anywhere I can perch with my laptop is my writing space. I tend to be a night owl, so I do more writing at night just before heading to bed. What’s one of your favorite reviews/comments you’ve ever received about your writing (on this book or any other)? Who did it come from and how did it impact you? What’s your biggest struggle as a writer (or what was your worst critique)? And how do/did you handle it? My biggest struggle is finding time to write, since work and family obligations take a lot of my time. For a while now, I’ve started writing on my phone during my commute to and from work or whenever I’m in a car that I’m not driving. I then transfer it onto my WIP when I get home in the evening. This also helps to minimize interference from my inner editor. It’s a win-win. What has been the high point of your career, so far? My most recent high point as an author was being invited to a panel discussion on writing, literature, and the business of publication in Ghana as part of the inaugural Accra Book Festival. What was the low point of your career? And how did you handle it? A personal tragedy brought my then WIP too close to home, and I found myself unable to muster enough enthusiasm to write more than a few words a day. It took literally years to finally get past it and begin writing again. Give us the name of a diverse author you’ve read that you would highly recommend to readers. Amaka Azie, Nana Prah, Kiru Taye, Ines Johnson, Nana Malone, Aziza Eden Walker, Brenda Jackson. I have at least 3 books coming out soon. 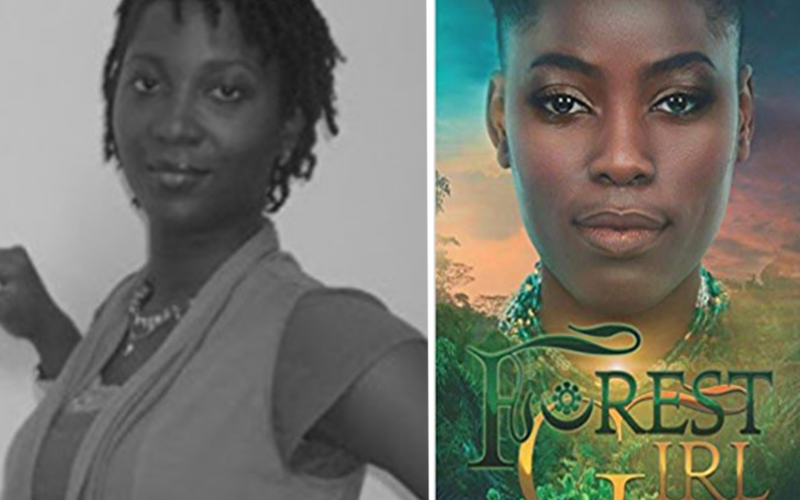 1) His Inherited Princess, book 2 of a multi-author Africa royal series (Yay!) from Love Africa Press. All three books in the (initial) series will release together, so there’ll be no waiting for readers. 2) Expecting Ty’s Baby, (sequel to Chancing Faith) will release in Spring 2019. 3) Another installment of the African royals series later in 2019. What’s your favorite book on the writing craft or your favorite piece of advice to writers? HOW TO WRITE by Chrys Fey. It gives tips in bite-sized chapters, easy to read and digest. Thank you, Empi, for taking the time to join us here at Diverse Romance. Thank you so much for joining Diverse Romance today! Please check out Empi Baryeh’s latest releases in African Contemporary Romance and pick one up today!